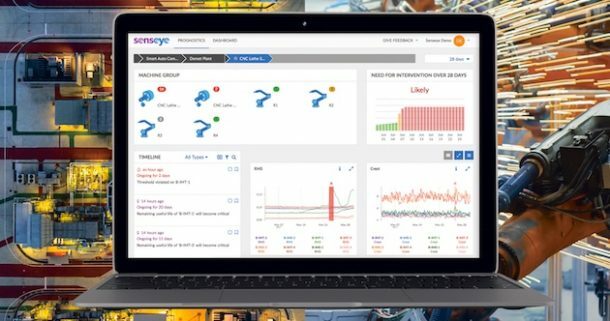 Senseye, the leading provider of cloud-based software for predictive maintenance, helps automotive companies avoid this costly downtime, boost overall equipment effectiveness and improve the efficiency of their maintenance operations by automatically forecasting machine failure without the need for expert manual analysis. Senseye’s software takes information from existing Industrial IoT sensors and factory historians and uses intelligent machine-learning algorithms to predict failures and provide the remaining useful life of machinery. It can be used on any machine from any manufacturer and can scale effortlessly from a few machines to tens of thousands. By using Senseye, automotive companies can monitor all of their machinery, not just the critical points of failure. Maintenance staff are able to prioritise their efforts to greatest effect and deal with the most pressing problems before they can affect production. The benefits are real and proven: Customers have halved their levels of unplanned downtime, reduced maintenance costs by 40 percent, and achieved a complete return on investment in less than three months.